It’s estimated that 20% of seniors receiving long term care will require that care for at least five years. For many of the elderly population, long term home care services become a necessity throughout the remainder of their lives as recovery from chronic illnesses becomes impossible. However, for 37% of home care recipients who are receiving care because of an injury or acute illness, recovery is not only a possibility, but a goal. Just how long is the rehabilitation and recovery process for the most common illnesses and injuries among home care patients, and what factors can help or hurt the process? 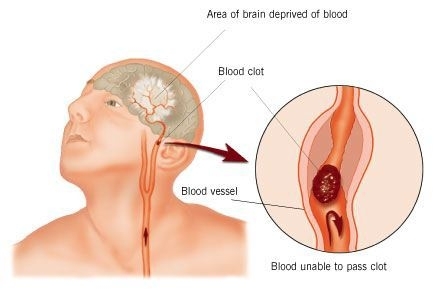 One of the leading causes of long term disability in adults, strokes can occur at any age and with little to no warning. While 85% of stroke victims survive the attack, only 10% will fully recover; 75% of stroke survivors continue to suffer impairments, ranging from the minor to the permanently disabling. The severity of the stroke, which often depends on how quickly the symptoms progress and when medical attention is received, is the greatest determining factor in the amount of rehabilitation and home care required order to regain function. Once the patient has been stabilized, rehabilitation can begin almost immediately (within 24-48 hours), and should, for best results. After discharge from the acute care setting, a rehabilitation plan is created with a team typically consisting of a physiatrist, neurologist, occupational and/or physical therapist, speech language pathologist, and rehabilitation nurses and caregivers. The goal of stroke rehabilitation is to recover and relearn damaged skills and abilities such as talking, walking, eating, dressing, as well as memory and cognitive assistance. How Long is the Recovery from a Stroke? Recovery from a stroke takes time. Your loved one will require home care services until s/he is able to perform basic activities once again, a process that can be helped or hindered by several factors. Physical factors, such as the severity of the damage to the brain, as well as emotional factors, such as the patient’s motivation and attitude toward rehab, along with the therapy s/he is receiving all play significant roles in recovery. While it’s impossible to say how much time is needed for recovery, most stroke survivors generally see the most significant improvements during the acute and post-acute periods, the weeks and six months immediately following the stroke. However, improvements to motor function can continue to occur even after that time with an intense rehabilitation regimen. How Does Home Care Help Stroke Rehabilitation? While many believe that rehabilitation from traumatic injuries like a stroke must take place at a dedicated facility, home care services are just as, if not more, effective. In the largest study conducted on rehabilitation in the US, the National Institute of Health’s (NIH) National Institute of Neurological Disorders and Stroke (NINDS) found that home-based approaches to therapy such as body weight exercises are equally effective as the higher-tech approaches at rehab facilities. In addition, the study revealed that frequency and intensity of therapy play a more significant role than its timing, stressing the importance of continued rehabilitation and a motivated attitude. The comfort of home is priceless for those recovering from traumatic injuries and can make all the difference if a loved one requires therapy. Especially for older adults suffering from injuries like stroke, the stresses of transporting to and from an outpatient facility and the costs and isolation associated with long term care facilities can be disheartening, causing a lack of motivation and even depression. Nurses and home care professionals trained in in-home stroke rehabilitation are well-equipped to watch out for warning signs of future stroke as well as the increased risk of developing associated health problems such as high blood pressure, balance and coordination issues (increasing the risk for falls), and incontinence.